michelles army, originally uploaded by jahansell. Great photo. Looks like everyone is having a fun time. You don't always dress like this then?..LOL Sounds like you all had a wonderful time. Britain is Harry Potter mad too here. I don't think you could have taken a photo of a group of people whose expressions were better than these. Inspired? See what inspired me today. 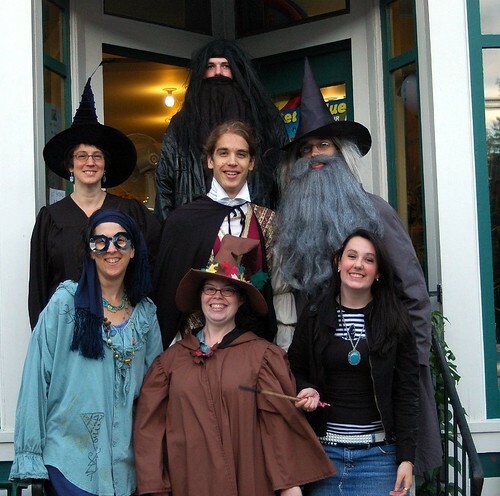 Here in Malaysia,not many people were willing to dress up as any of the characters from Harry Potter. we got our copy from Asda and no queues - probably won't actually read it for a while though.